Houston Mayor Sylvester Turner is seeking city council approval for a property tax increase to contribute to Hurricane Harvey recovery expenses. Turner’s proposition is an one-year, 8.9 percent property tax rate boost that would raise about $113 million, according to NBC DFW. The hike would increase the current Houston property tax rate by 5.23 cents to 63.87 cents per $100 of appraised value, according to Houston TV station KHOU. Turner’s office said the hike would not be able to be renewed. The money gleaned from the tax hike would be used to cover non-federal program-reimbursed expenses, NBC DFW reports. It would also help pay for facility repairs, lost fleet vehicles, debris removal and two sewage treatment plants. "If this is not an emergency, I don't know what is,” Turner said, per the Houston Chronicle. “What we're able to recoup from one year, the $113 million, will not even be enough to cover the expenses we will have incurred. What we don't get from the feds we'll have to come up with ourselves. I would be not doing my job if I did not advance it." 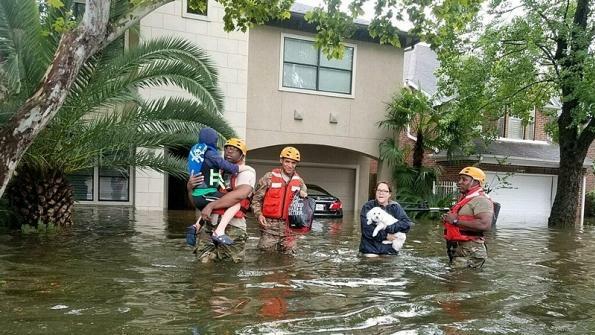 Because Houston was under a federal disaster declaration for Harvey, emergency provisions from a voter-approved, 13-year-old tax revenue cap makes the hike possible, NBC DFW and the Chronicle report. Several public hearings will address the tax hike until it’s ultimately voted on in mid-October, the Chronicle reports. Despite looming expenses from Harvey recovery, Houston Councilman Mike Knox expressed hesitation about the tax hike. "This is an opportunity for him to bust the revenue cap without having to take it to the voters," Knox told the Chronicle. "If we do something like this, we're going to be assessing value based on pre-hurricane value. Everybody's house has been damaged, everybody's property has been damaged, but they're not going to get a break on that until next year." State Sen. Paul Bettencourt (R-Houston), a proponent of the revenue cap, also voiced some concern towards the tax hike, noting how Harvey has damaged many homes in the area, the Chronicle reports. "This is a delicate public policy issue because we've got Houstonians that are literally flooded out of their homes and many people have been affected so they're not in a position to pay the bill easily, much less if it increases,” he said. The Federal Emergency Management Agency (FEMA) estimates that about 800 homes were destroyed and 119,000 damaged and a real estate broker reported that Harvey has ground the Houston real estate sales market to a halt, according to the Austin American-Statesman. A late August estimate from consultancy Moody’s Analytics and the Greater Houston Partnership projected that Harvey could cost Houston up to $50 billion in property damage and economic activity, the Chronicle reports.